A simple and stylish tunic in pink with refreshing floral details on the dupatta attachment. 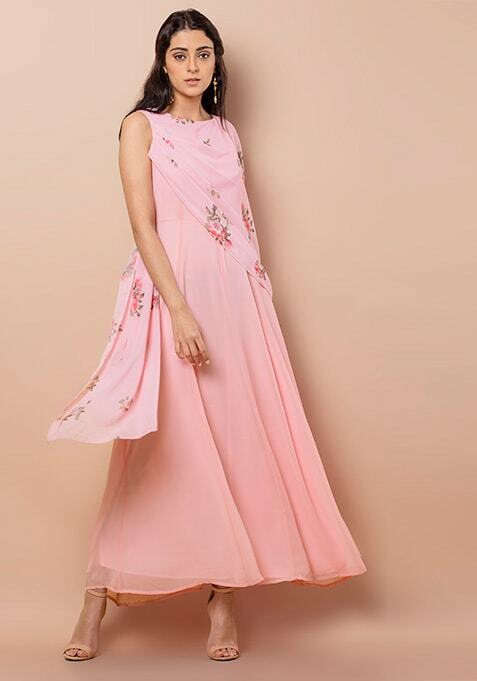 This tunic is sleeveless and it has a unique dupatta attachment. Work It: You can wear it with comfy flats and complete your look with minimal makeup for a day time look.